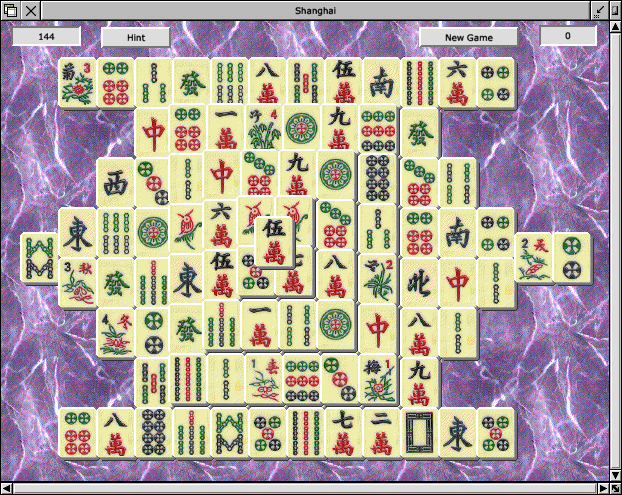 A RISC OS desktop version of the classic Chinese game of patience. Remove pairs of matching files from the board in order to clear the board. If you think you qualify to enter the online high score, please contact me with your latest score. If you like the game of Shanghai, you may be interested in these alternatives to my version. Features enhanced, high resolution graphics and 17 different tile designs to choose from.